Your hunt of finding a puff pastry recipe has landed you with one of the most descriptive and complete puff pastry recipes. Puff pastry is a flaky light pastry made from laminated dough. It is made of thin layers of dough trapped in thin layers of butter. 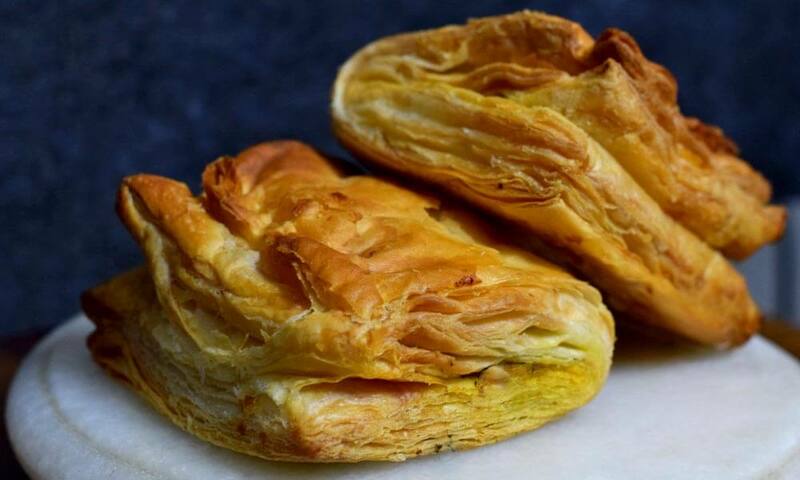 Puff pastry recipe is famous all over the world and is an extremely popular breakfast recipe. The first known recipe of puff pastry with butter appeared in a Spanish recipe book “Libro del arte de cozina” published in 1607. It was written by Domingo Hernández de Maceras, Head cook of The University of Salamanca. Puff pastry can also be leavened with baker’s yeast to create croissants, Danish pastry etc. Making puff pastry sheets from scratch at home needs a lot of patience and effort. Temperature and technique play a vital role in making these sheets. 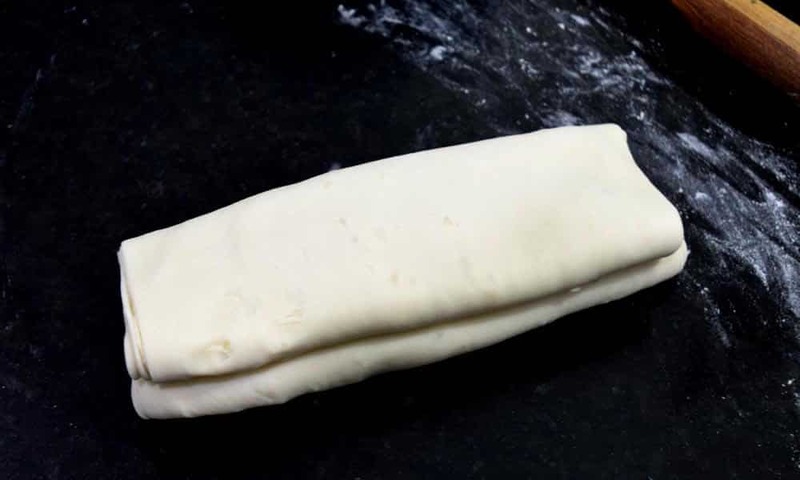 The puff pastry sheets must be kept at a temperature of approximately 16 °C. This temperature avoids the butter from becoming runny. From the technique, you must let the dough rest in between folds. This allows the gluten strands to link up and retain layering. Where L means a number of final layers, f means a number of folds in a single folding move and n means the total number of such moves. 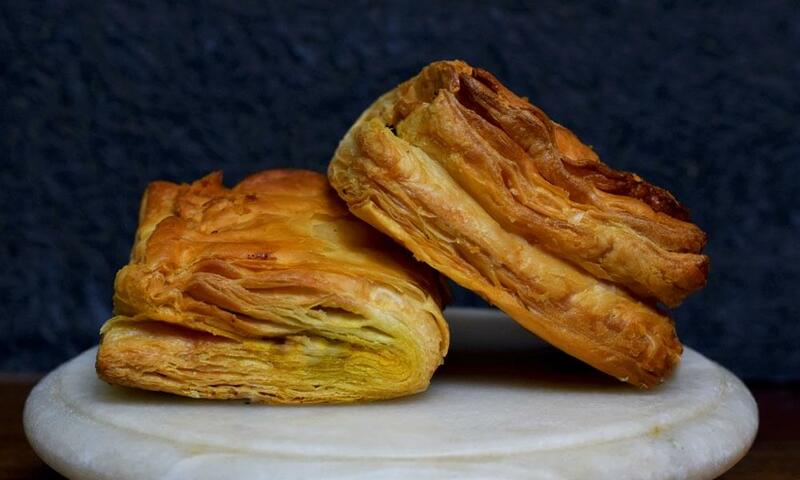 The perfect puff pastry considered to have 729 layers. Looks complicated? Continue reading and you will be surprised to see how easy I have made it for you. To make puff pastry at home, you don’t need any fancy gadget. All you need a large rolling pin and a good oven. If you are confused in selecting the best oven for yourself, click on the link and help yourself. Puff pastry ingredients are easily available in any kitchen. 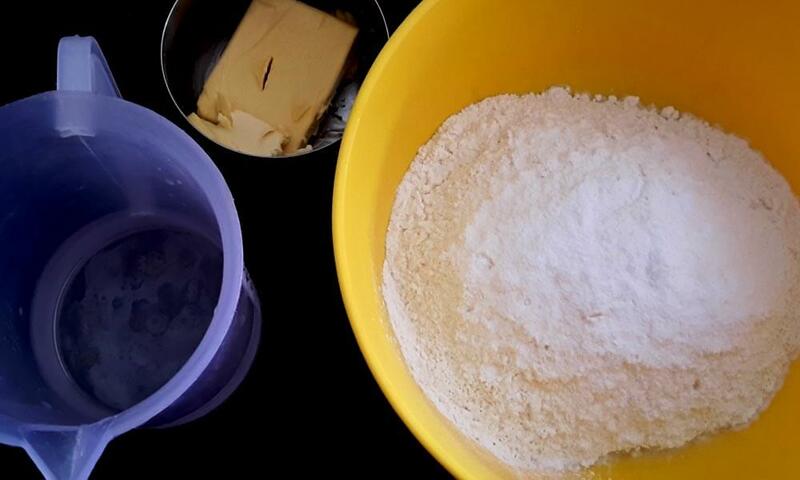 For puff pastry dough all we need is flour, butter, salt, ice cold water, and lemon juice. PS: I recommend using a kitchen weighing scale and always be accurate with your ingredient measurements. 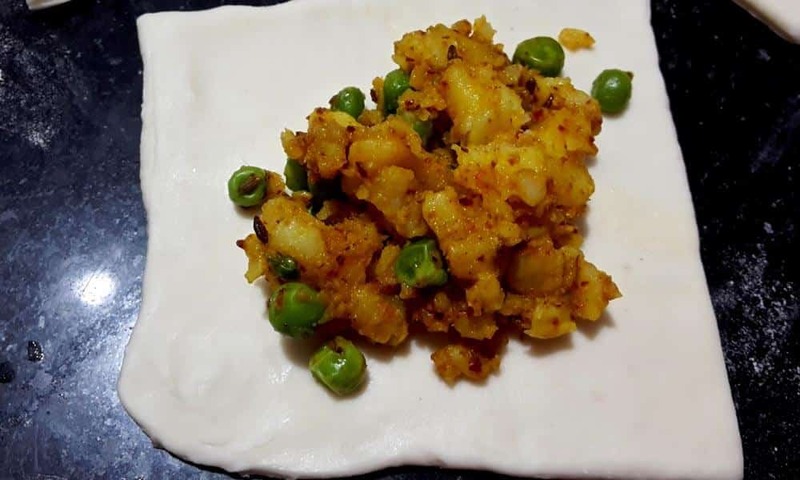 And for stuffing, I will be using potatoes, peas, cumin seeds, salt, red chilli powder, green chili, dry mango powder, and oil. You should feel free when it comes to stuffing. Modify it per your taste and choice. In a bowl mix flour, lemon juice, and salt. Add ice cold water and start kneading the dough. 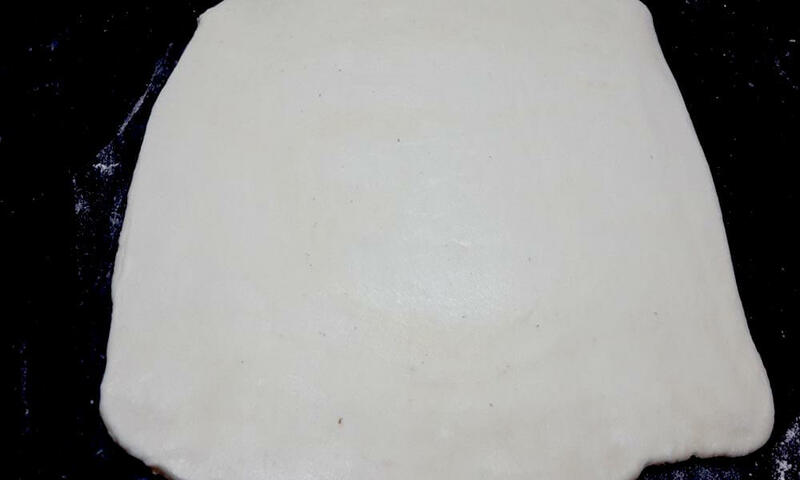 The dough should be firm just like regular chapatti dough. Cover the kneaded dough with damp cloth and let it rest for 20 minutes. This will help to develop the gluten into the dough. On the other hand, shape the butter into a 6”x3” rectangular block. Sprinkle the butter with some flour during this process. Cover the block of butter with cling wrap and place it in the refrigerator. After 20 minutes of resting time roll the dough into a 10”x6” rectangle. Place the prepared butter block in the center and fold both the corners towards the center, covering the butter block completely. Cover it with cling wrap and refrigerate it for 20 minutes. After 20 minutes, take the dough out on a lightly floured surface and using a rolling pin roll it again into a 12”x6” rectangle. Fold one side till the center. Now fold the other side and overlap it on the first side. Make sure the edges are also overlapping each other perfectly. Again cover the dough with cling wrap and refrigerate it for another 20 minutes. Repeat the same process 3 more times. For the final fold, take the dough on lightly dusted surface. Start rolling the dough into 12”x6” rectangle. Pull both sides together towards the center, however, do not overlap them. Overlap the two folded sides over each other to form a book. This is the final fold. Cover it with cling wrap and refrigerate it. Our pastry sheet is ready. Now you can use these sheets immediately or can store in the freezer as well. Heat a pan. Add oil to it. Add cumin seeds and sauté for 1 min. Then add mashed boiled potatoes, Pease and all the dry spices. Cook for 5 minutes and switch off the flame. Transfer the prepared stuffing to a bowl and let it come to room temperature. 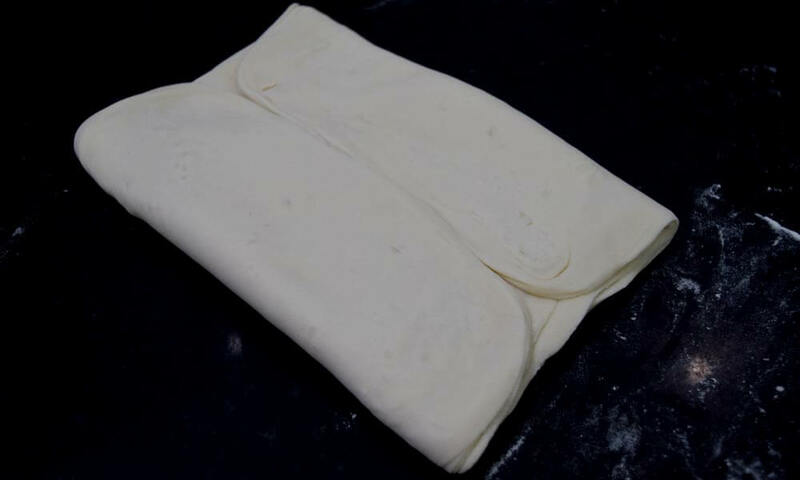 Roll the prepared pastry dough into a ¼ inch thick sheet. Cut it and place the prepared stuffing. Fold and shape as per your choice. Place them on a greased baking tray. I am using a 10”x12” baking tray. Cover it and place it in a refrigerator for 10 minutes. Meanwhile, preheat the oven to 160 °C. Now take the puffs out from the fridge and bake in preheated oven for 20 minutes or until they turn golden. Baking time can vary depending upon the size and temperature of the oven. So bake until they turn golden and all the layers puff up. 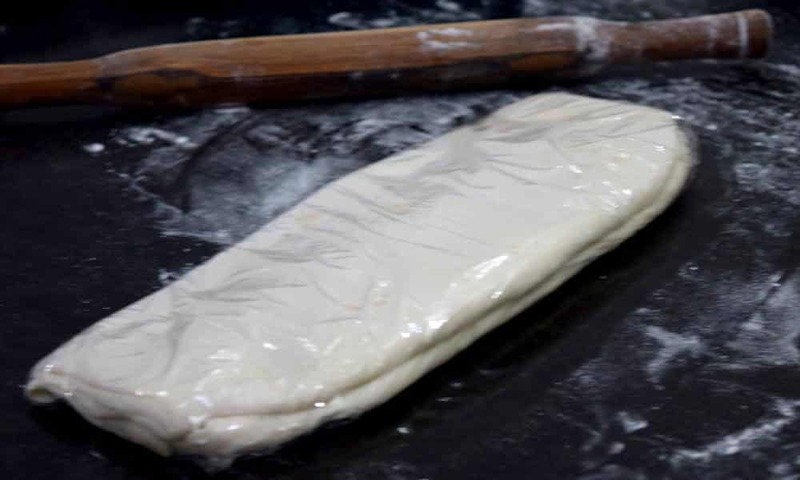 To get best results, rest the prepared puff pastry sheet overnight in the refrigerator. It helps to solidify butter/fat between the layers which later on helps to give crispy and flaky puffs. You can store these puff pastry sheets in freezer up to 6 months. Once the puff pastry sheet is ready, cover it with cling wrap or zip lock pack and keep it in the freezer. Whenever you want to use, just thaw it and bake it. Learn to make puff pastry recipe from scratch and skip buying the ready-made store-bought puff pastries. Each delicate layer of puff pastry recipe is filled with butter that makes the flaky and buttery puff pastry. In a bowl mix flour, lemon juice, and salt. Add ice cold water and start kneading the dough. The dough should be firm. Cover the dough and rest it for 20 minutes. On the other hand, shape the butter into a 6”x3” rectangular block. Cover it and keep it in refrigerator. Place the prepared butter block in the center and fold both the corners towards the centre. Cover the dough and keep it in the refrigerator for 20 minute. After 20 minutes, take the dough out on a lightly floured surface and using a rolling pin roll it again into a 12”x6” rectangle. Fold one side till the center. Now fold the other side and overlap it on the first side. Cover it with cling wrap and refrigerate for 20 minutes. Repeat the Step 5, 6 and 7 three more times. For the final fold, take the dough on lightly dusted surface. Start rolling the dough into 12”x6” rectangle. Pull both sides together towards the center, however, do not overlap them. Overlap the two folded sides over each other to form a book. Cover it with cling wrap and store in the freezer. For stuffing, Heat a pan. Add oil to it. Add cumin seeds and sauté for 1 min. Add mashed boiled potatoes, Peas and all the dry spices. Cook for 5 minutes and switch off the flame. Transfer the prepared stuffing to a bowl and let it come to room temperature. 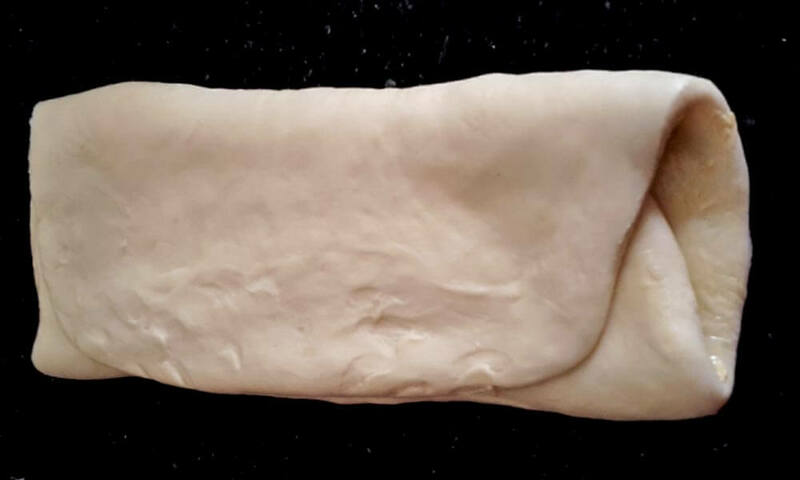 Take the laminated puff pastry sheet from freezer and thaw it. Cut it into desired shape, stuff and rest these in the refrigerator for 10 min. Preheat the oven at 160°C and bake the stuffed pastry sheets in a preheated oven for 20 minutes. When baked, serve hot with your choice of sauce. Always prefer to use unsalted butter to laminate. Quality of flour matters most for flaky puffs. These laminated sheets can be stored in freezer up to 6 months. Choice of stuffing is totally up to you. Is it the same procedure for ‘khari’? Yes, the procedure is the same. If you will bake these laminated sheets without any stuffing then these are called Khari. With my personal experience, I realized nutralite doesn’t give that buttery flavor to the puffs so I stopped using it. However, it can be used. Thanks for liking the work. I will recommend you to give it a shot with whole wheat and share your experience with me. I am constantly experimenting to find my perfect no-fail recipe. Thanks soniaji for such a detailed explanation. Will definitely try. Try and share the feedback with us Sujatha. Would love to hear from you. Can I use lily butter except unsalted butter? If yes then what is the quantity for 500 gm flour? Gouri, lilly is not a healthy option to use in bakes. So I would not suggest you using Lilly instead of butter. 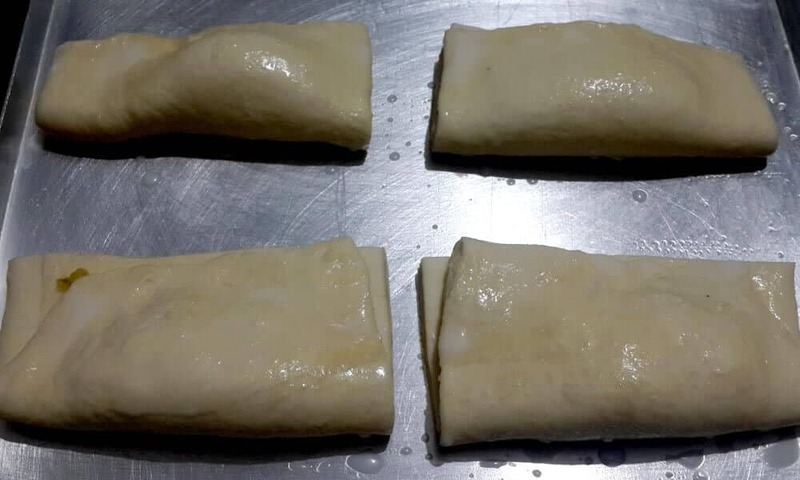 have gone through the recipe and am looking forward to making this… my first time with puff pastries..
so u r saying that we should roll out the butter to this size using flour for dusting… right?? By shaping the butter into 6″x3″ block means to roll the butter between two layers of parchment paper ( this will avoid sticking of butter to the rolling pin). 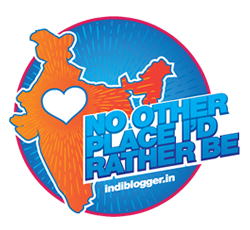 Hi Sonia, I have recently subscribed to your blog, I love baking and live in Bangalore, please guide me on where to buy whipped cream for cakes. Check for Arif in your nearby locality. Is it possible to use whole wheat flour instead of all purpose flour? You can try with whole wheat and let me know the results too. Laminated sheets/puff pastry sheets need practice. Try one more time. I am sure you will get the perfect texture. Beautifully explained and simplified !!! Can’t wait to try it and you make it all doable! Thanks a ton ! Thanks, Aruna, Thanks a bunch.